4.5 starsI'm not a huge paranormal fan but I loved Sempre so I figured I would give this one a try. 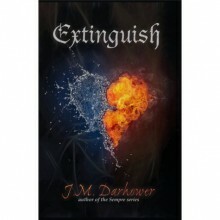 I really enjoyed the storyline and the book overall was a nice easy read.Another J.M. Darhower book!! I can't wait!!! This has to be one of the most powerful books I have read emotionally. Dahrover is a genius. Review to come.